Apostle Paul wrote that salvation is a gift from God. It is freely given by the grace of God through faith in the death and resurrection of Jesus. Paul instructed that there are no works we can do to merit this gift. Yet faith, repentance and baptism are seemingly required for this gift to be received. Is there conflict between the Scriptural teaching that salvation is a free gift from God and yet requires the works of faith, repentance and baptism? It is this issue we will address in this Four Part series. The study of theology has a number of subdivisions such as eschatology which is the study of last things, Christology which is the study of Christ and Soterology which is the study of salvation. Within the overall field of Soterology is the study of how faith repentance and baptism relate to salvation. It will be this aspect of Soterology that we will discuss in this series. In addressing the sins of Israel, the prophet Isaiah made a rather profound statement as recorded in Isaiah 59:1-2. It is a major tenet of Scripture that sin separates us from God. To sin is to miss the mark. To miss the mark is to behave contrary to the will of God. Scripture shows we have all sinned and come short of the glory of God. Sin results in falling short of the glory of God. To experience the glory of God is to have the barrier that sin produces removed and in so doing attain to a right standing before God. Scripture shows we can’t attain to a right standing before God by works of righteousness we do because we have already incurred the eternal death penalty through works of unrighteousness or what the Scriptures define as sin. Romans 6:23: but the gift of God is eternal life in Christ Jesus our Lord. Jesus, who lived a sinless life, took our sins upon Himself and in so doing experienced not only physical death but apparently experienced a spiritual separation from God as we do because of sin. When Jesus hung on the cross and cried out “My God, My God, why have you forsaken me” it is apparent Jesus was experiencing a momentary separation from God as the sin of humanity was placed upon His shoulders. As Paul wrote, Jesus became sin for us. However, because Jesus never personally sinned, death could not hold Him and God resurrected Jesus to eternal life. Jesus paid the penalty for our sin and was resurrected to eternal life and thus facilitated our reconciliation with the Father and the granting of eternal life. This is the gospel in a nutshell. The gospel in a nutshell is that we can be saved from eternal death engendered by our sin by placing faith in the death and resurrection of Jesus and what He accomplished in paying the penalty for our sin. Paul wrote to the Ephesians that we are saved by grace through faith and that salvation is a gift of God and not of works. Grace is generally defined as unmerited pardon. There is nothing we can do to merit the grace of God. Paul taught that God extended His grace toward us through the death and resurrection of Christ Jesus while we were still in our sins. This shows our salvation has nothing to do with what we do but instead has everything to do with what Christ did. Romans 5:8-11: But God demonstrates his own love for us in this: While we were still sinners, Christ died for us. Since we have now been justified by his blood, how much more shall we be saved from God's wrath through him! For if, when we were God's enemies, we were reconciled to him through the death of his Son, how much more, having been reconciled, shall we be saved through his life! Not only is this so, but we also rejoice in God through our Lord Jesus Christ, through whom we have now received reconciliation. It is apparent from Scripture that works of righteousness cannot facilitate our salvation. Since the wages of sin is death, only the sacrificial death and resurrection of Jesus eliminates that penalty and facilitates reconciliation with God and eternal life. God has gifted us eternal life through the sacrificial death and subsequent resurrection of Jesus. 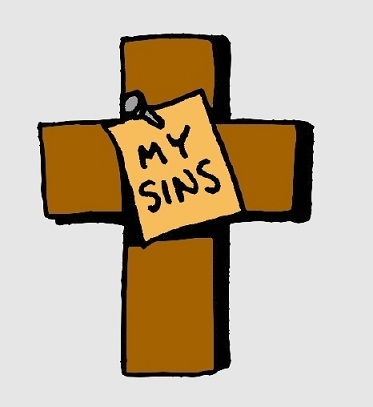 Romans 3:20-24: Therefore no one will be declared righteous in his sight by observing the law; rather, through the law we become conscious of sin. But now a righteousness from God, apart from law, has been made known, to which the Law and the Prophets testify. This righteousness from God comes through faith in Jesus Christ to all who believe. There is no difference, for all have sinned and fall short of the glory of God, and are justified freely by his grace through the redemption that came by Christ Jesus. Paul taught the Ephesians that salvation results from the grace of God and is acquired as a gift from God and not attained by any works we do. It is apparent from Paul’s message to the Ephesians that works cannot produce salvation as salvation is a gift from God based on God’s grace which is unmerited pardon. To conclude that anything we do can merit salvation would be in contradiction to Paul’s statements to the Ephesians, the Romans and the Corinthians. Paul consistently taught that salvation comes about strictly as a gift of God. If reconciliation with God and the granting of eternal life is facilitated by Christ independent of what we do, it would appear that salvation is unconditional. Yet the Scriptures appear to present conditions. Faith, repentance and baptism are often associated with salvation in the New Testament (NT). Paul, in his statement to the Ephesians wrote that it is by grace through faith that we are saved. Faith in the death and resurrection of Jesus appears as a required dynamic associated with having ones sins forgiven and receiving salvation. In preaching the Gospel to Cornelius and his friends and family, Apostle Peter shows that belief in Christ is the pathway to the forgiveness of sin. When the Philippian jailer asked Paul and Silas what he must do to be saved, Paul and Silas told him to believe on Jesus. Acts 10:43: All the prophets testify about him that everyone who believes in him receives forgiveness of sins through his name." Peter, in his Pentecost sermon recorded in Acts 2, speaks of repentance and baptism as apparent conditions of salvation. Peter’s message instructed his listeners that the man Jesus, who had been put to death, was now resurrected and had been made both Lord and Christ and was now seated at the right hand of God. It is apparent that this message had quite an impact as it is reported those who heard Peter were cut to the heart and asked Peter what they should do. Here’s what Peter told them. Acts 2:38: "Repent and be baptized, every one of you, in the name of Jesus Christ for the forgiveness of your sins. And you will receive the gift of the Holy Spirit. Those hearing Peter’s message believed him and in so doing acknowledged Jesus was the Christ and confirmed that acknowledgment by being baptized. Their response to Peter was to believe what he said and change the way they related to Christ which is to say they repented. This brings us to the issues we will deal with in this series of sermons. If salvation is a free gift, how are we to view the apparent requirements of faith, repentance and baptism for salvation? How do such requirements coordinate with the Scriptural teaching that salvation is a gift of God and not of works? Repentance involves changed behavior. It involves turning from disobeying God to obeying God. Isn’t that the performance of works? Baptism is a ritual involving a definite act. Isn’t baptism a work? If we have to exercise faith, change our behavior and participate in the very physical act of baptism, aren’t we not having to perform works to receive salvation and doesn’t that contradict Paul’s teaching that we are saved by the grace of God and not by any works we do? The answer to this question relates to what came first, the chicken or the egg. Some believe the egg came first and hatched the chicken. However, it is the chicken that lays the egg and then sits on it until it hatches. It would appear the chicken came first. The same is true of salvation. Salvation came first. Salvation came while mankind was still in their sins. The gift of salvation was provided by God through Christ and not through anything we do. It is a free gift. Then why are faith, repentance and baptism seemingly required. If salvation is a free gift, why does this gift appear to have conditions attached to it? Isn't having to meet certain conditions prior to receiving the gift of salvation the same as earning salvation? No it is not. The conditions attached to receiving salvation are not attached to the granting of the gift but to the receiving of the gift. Let’s say I tell you to come over to my house and I will give you a new car. You can choose not to believe me and so you never come over to my house and you never get the car. To get the car you have to believe I am going to give you the car. You have to act on that belief by coming over to my house. If you don’t ever come over to my house to get the car you won’t get the car. Your coming over to my house to get the car does not in any way earn you the car. Giving you the car is all my doing. I have simply asked you to come over to my house to get the car. Coming over to my house to get the car is not a condition of I making the car available as a gift. It's a condition you must meet to receive the gift. It is you acting on the faith that I indeed have a car for you free of charge. When you come over and get the car I give it to you and you now have the car. You had faith that I am really going to give you the car and you acted on that faith by coming over to my house to get the car. Now that you have the car, you're very happy and you show off the car to others. Like with the car illustration, salvation is a free gift but to receive it we must believe such salvation is indeed being offered to us at no charge. This is equivalent to believing that when I offer you a new car free of charge, such car is indeed free of charge. You coming over to my house to receive the car is acting on the faith that you will indeed receive from me a new car free of charge. You believing in my offer of a free car and coming over to my house to receive the car is analogous to expressing faith in the free gift of salvation offered by God and then acting on that faith by repenting of sin and pledging to do ones best to avoid sin in the future. God, through Christ, has provided the gift of salvation. That is a done deal. Nothing we have ever done or ever will do earns us this gift. God invites us to come on over to His house so to speak and receive this gift of salvation. To receive this gift we obviously must believe (have faith) this gift is really available. This corresponds to believing I really have a car for you. Since salvation corresponds to having a righteous standing before God, God expects us to maintain that righteousness in our behavior. That’s called repentance and is analogous to making the effort to come over to my house to get the car. This pursuit of righteousness doesn’t earn our salvation any more than you coming over to my house earns you the car. The pursuit of righteousness is simply a condition that must be met in order to receive the free gift of salvation no different than coming to my house to receive the car is a condition that must be met to receive the free gift of the car. Upon our expression of faith and repentance, God gives us the gift of salvation. Once we have this gift, God expects us to bear witness to the gift He has given us. God wants us to publicly demonstrate our commitment to the gift of salvation He has provided. That is done through baptism. Baptism is not a condition for receiving the gift of salvation but it is an expected response to the gift that has been given. It is a witness to our having received this gift. It must be understood that neither faith, repentance nor baptism earns us the gift of salvation. Faith and repentance are conditions that must be met in order to receive what is a free gift that has been provided by the sacrifice of Christ. Faith is to acknowledge the reality of this gift and God’s willingness to give it to us. Repentance is simply respecting this gift by taking proper care of it through changed behavior. Baptism is a confirmation of having received the gift of salvation. It is a public witness to our having expressed the necessary faith and repentance to facilitate our having received God's gift. To profess faith in Jesus and not do what He says is an oxymoron. It’s a contradiction. The Scriptures show that to have faith in Jesus is to not only believe He is the Son of God and that He died and was resurrected for our salvation, it also means we believe in what He taught and we submit to him as Lord of our lives. Faith in Christ must be combined with works that demonstrate we are in agreement with what Christ taught. Apostle James makes the relationship between faith and works very clear. Faith must be demonstrated by action. Faith must be acted upon if it is to have any efficacy. James shows that you can believe that God exists but if you fail to acknowledge who God is and behave accordingly, such faith is useless. James 2:14-23: What good is it, my brothers, if a man claims to have faith but has no deeds? Can such faith save him? Suppose a brother or sister is without clothes and daily food. If one of you says to him, "Go, I wish you well; keep warm and well fed," but does nothing about his physical needs, what good is it? In the same way, faith by itself, if it is not accompanied by action, is dead. But someone will say, "You have faith; I have deeds." Show me your faith without deeds, and I will show you my faith by what I do. You believe that there is one God. Good! Even the demons believe that--and shudder. You foolish man, do you want evidence that faith without deeds is useless? Was not our ancestor Abraham considered righteous for what he did when he offered his son Isaac on the altar? You see that his faith and his actions were working together, and his faith was made complete by what he did. And the scripture was fulfilled that says, "Abraham believed God, and it was credited to him as righteousness," and he was called God's friend. James clearly shows that faith and works are two sides of the same coin. Faith without works isn’t faith at all. For faith to have any viability, it must be accompanied by works. Faith must be expressed by action. James said even the demons believe God exists, but they refuse to submit to His rule and therefore their faith is useless. James wrote that Abraham believed God and it was credited to him as righteousness. However, if Abraham would not have offered his son on the altar, his faith would not have had any meaning. Action gives meaning to faith. Action verifies faith. Action is a confirmation of faith. The people who heard Peter speak on Pentecost demonstrated their faith in Christ by changing their view of Christ, submitting to his authority and then being baptized as an outward demonstration of their faith and repentance. When the people heard Peter, Jesus had already facilitated salvation through His death and resurrection. The faith, repentance and baptism experienced by the people who responded to Peter’s message didn’t facilitate salvation. That had already been accomplished by Christ. Faith, repentance and baptism facilitate access to the salvation God provides through Christ. Romans 5:1-2: Therefore, since we have been justified through faith, we have peace with God through our Lord Jesus Christ, through whom we have gained access by faith into this grace in which we now stand. And we rejoice in the hope of the glory of God. There is the very clear expectation that works will follow God’s granting of salvation. Let’s return to Ephesians 2:8-9 and add verse 10. Ephesians 2:8-9: For it is by grace you have been saved, through faith--and this not from yourselves, it is the gift of God-- not by works, so that no one can boast. For we are God's workmanship, created in Christ Jesus to do good works, which God prepared in advance for us to do (Ephesians 2:10). Paul followed up his statement to the Ephesians about salvation being a gift of God and not of works by writing that we are God's workmanship, created in Christ Jesus to do good works, which God prepared in advance for us to do (Ephesians 2:10). When Paul told the Ephesians that salvation is a gift from God and not the result of any works we do, he meant it was an unmerited gift that we cannot earn or in any way qualify for. It was simply God’s bestowal of grace on fallen humanity. But Paul adds that our acceptance of this gift must be followed by good works. If good works don’t follow our acceptance of God’s gift, there really isn’t any faith. As James said, faith without works is dead. When Paul said salvation comes through faith, he is saying that we must acknowledge God’s salvation as His unmerited gift and express such acknowledgement by how we think and behave. For Paul, as was true with James, faith had to be demonstrated by action. That is why Paul follows his statement about salvation through faith by saying “we are God's workmanship, created in Christ Jesus to do good works, which God prepared in advance for us to do." Salvation is not produced by our faith or our works. Salvation is produced by the grace of God in facilitating the Christ event. Faith is our response to the reality of the Christ event and its efficacy for our salvation. Repentance is our response to the reality of the Christ event demonstrated by our willingness to pursue righteousness. Faith and repentance are a response to what Jesus did to facilitate salvation and it includes accepting Him as Lord of our life which means we are now subject to His will. His will, as we all know, is to live the Law of Love. Peter also instructed his listeners to be baptized. Acts 2:41 records that those who accepted Peter’s Pentecost message were baptized and this resulted in about three thousand added to their number that day. Faith and repentance are our response to the message of salvation. Baptism is a public demonstration of our response. Water baptism is seen in Scripture as an outward demonstration of faith and repentance. Within the context of the Christ event, faith and repentance relates to acknowledging Jesus as Savior and Lord and a change of behavior commensurate with that acknowledgement. Baptism is the explicit demonstration of that acknowledgement. Some see baptism as an outward sign or mark of covenantal acceptance. When God established a covenant with Abraham, circumcision was instituted as a sign of the covenant between God and Abraham. Baptism is seen as replacing circumcision and becoming the sign of the New Covenant. Under this perspective one could argue that baptism, as a sign of the New Covenant, is a required ordinance just as circumcision was a required Old Covenant ordinance. Colossians 2:11-12; In him you were also circumcised, in the putting off of the sinful nature, not with a circumcision done by the hands of men but with the circumcision done by Christ, Having been buried with him in baptism and raised with him through your faith in the power of God, who raised him from the dead. Some use this seeming correlation between circumcision and baptism to justify infant baptism. Since Paul associates circumcision with the putting off of the sinful nature and ties it in to baptism, it is felt infants should be baptized in order to put off the sinful nature believed to be inherited from Adam. Since under the Old Covenant circumcision was done when an infant was eight days old, it is believed under the New Covenant infant baptism is simply a replacement for circumcision. However, Paul isn’t talking about physical circumcision as he clearly indicates. He is speaking of a spiritual circumcision which he analogies to baptism. Is Paul here talking about a spiritual baptism as well and not the physical act of physically being immersed in water? We will return to that question in Part two of this series when we begin to take an in-depth look at baptism and its relationship to salvation.